UPDATE: PowerPlay is available in NZ now! Wireless Gaming Mice are good, the only real worry we have is that the charge might run out right at that critical moment when gaming, denying us our glorious Pentakill – which is why GGPC use wired mice in competitive play. Over the years talented techs have researched and released a bunch of different methods and technologies to improve battery life of our wireless devices, offering up solutions like charging cables rather than docks so you can charge as you use it – but that’s not really the point of wireless now is it 😛 The perfect solution would be never having to plug in at all, and with induction chargers for Smartphones being a common thing now it’s plausible to have your mouse pad charge your mouse – right? The biggest issues apparently are around the requirement for very precise placement, and being unable to deliver charge while the device is moving. 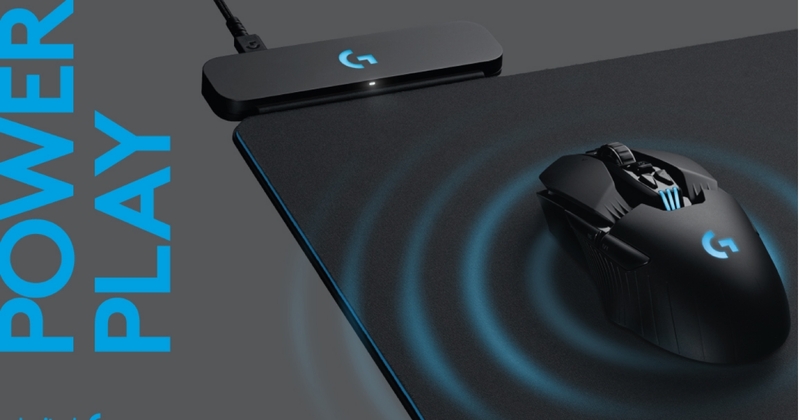 Those incredible engineers at Logitech G have figured it all out, they’ve got something totally new – and they’re calling it POWERPLAY. Logitech has made the setup process super easy, clipping in the POWERCORE battery bit into your mouse is done magnetically and this aligns to the charging points on the battery for you, you can press down on a little circle for quick release and hot-swap between the weightless POWERCORE included with POWERPLAY and the 10G weighted version that comes with the G703. Currently, the technology is set to work with two of our favourite Logitech G Wireless Gaming Mice – namely the G900, and absolutely epic G403. Both are getting an update as well with the new POWERPLAY ready versions being named the new G903 and G703, in addition to that sweeeeet POWERPLAY compatibility, both of them feature upgraded microswitches rated to 50 million clicks (vs 20 million in the previous version). Keep your eyes on the GGPC PC Gaming Blog and the Logitech G Store for the latest!